Most competitively priced dealer amongst the proposals. The dealer who delivers the best after sales service. The dealer who was able to provide the right equipment to suit a varied range of materials handling applications. There are many benefits for large businesses choosing long term fully maintained leases over purchasing their own equipment – mainly ongoing costs associated with maintenance and repairs. The challenge is to ensure that your business is choosing fiscally sound long term solutions that meet your complete operational needs. Does the fleet suit all your handling needs with in your operation? Does your supplier offer round the clock service in the event of breakdowns or repairs? Is the contract competatively priced whilst meeting all of our long term needs? Will the supplier ensure that the fleet is maintained to highest safety and preventative maintenance standards? AVL chose Lencrow Group with the upmost confidence that their operational needs and fleet management was in experienced and capable hands. Lencrow Group, being able to acces a large range of equipment was able to customize a brand new fleet specifc to AVL’s needs. AVL recently had their brand new fleet delivered to the Buronga Hill, NSW & Merbein Hill, VIC facilities. With in the fleet there was a range of purpose fit 2.5t LPG forklifts with 3 stage masts and various specifications, a 7t forklift fitted with a clamp rotator as well as a sweeper and a scrubber. “With [Lencrow Group] already knowing our business model from an existing 8 year working relationship, they were able to properly plan a fleet solution specific to our long term operational needs. 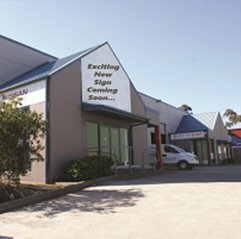 National Warehouse & Distribution Manager Australian Vintage Ltd.
"We [AVL] chose to continue our long and proud partnership with Lencrow Group because of their competitive prices and second to none servicing of equipment"